Our product range includes a wide range of oil and grease trap. We are one of the leading manufacturers, suppliers and wholesalers of optimum quality Oil and Grease Trap. 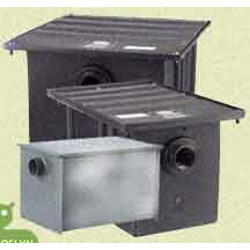 It is used to process grease trap waste or refuse and remove organic matter and reclaim fats, oils, and grease. The dissolved fractions of fats, oils, and grease are separated using mechanical methods. The recuperated grease fractions, highly pure and homogeneous, constitute an excellent raw material for further oleo-chemical processes and applications. Looking for “Oil and Grease Trap”?